After having a comparatively good business on its weekdays, the current entertainer of Bollywood Main Tera Hero is still getting good word of mouth for its hilarious performance till its 8th day of release. Audience ahs highly loved this romantic comedy along with drama depicting a unique and funny love triangle sort of story with the fresh faces. In many sectors and cities Main Tera Hero is being excellently welcomed by the public and they are going to watch movie again and again. With the advantage of release with a low budget and less promoted film Jal, Main Tera Hero gained attraction and public attention thereto due to low public response for Jal and no competition. Today being its 8th day of release audience has still a favorable attitude towards the film. Now Main Tera Hero has entered its second week and still enjoying a positive word of mouth and is expected to rise up again. This David Dhawan film has now surpassed the lifetime business of films like Highway and Dedh Ishqiya. Main Tera Hero now stands at the eighth position in the Top 10 Grosser of 2014 list of movies and is sure to climb further since the film is currently in its first week only. With an estimation of around a 38.48 Crores first week business, Main Tera Hero may soon be surpassing Shaadi Ke Side Effects at the domestic box office collections. 8th day box Office Collection of Main Tera Hero is 3.6 Crores and is a good figure considering today as its 8th day since the release date. 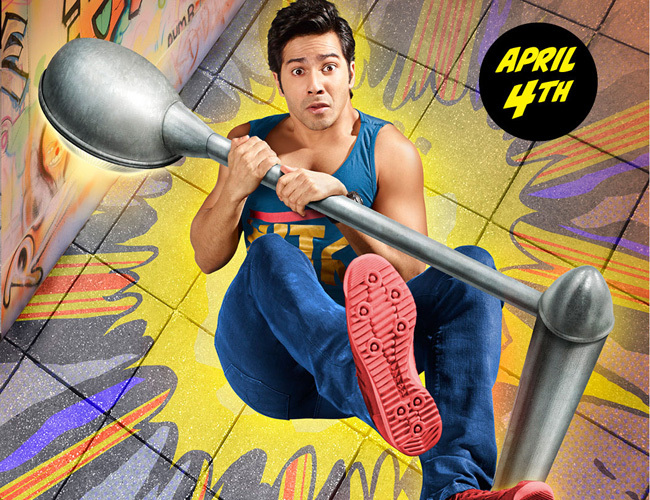 Being a fresh youth appealing and humoristic film, Main Tera Hero has a good scope of earning in multiplexes especially. This second week may prove beneficial to the film due to competition with only one film but the big B starrer film may on the contrary prove to be the business taker too if audience likes the film.